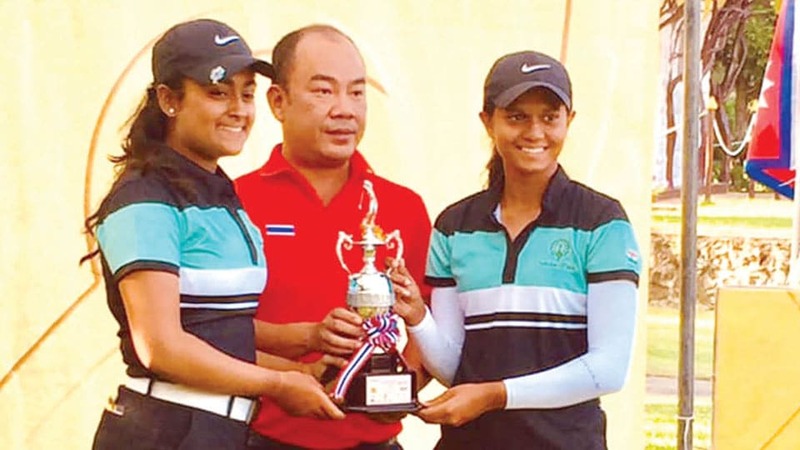 Thailand: Mysuru girl Pranavi S. Urs, representing India in Thailand Singha World Amateur Junior Golf Championships-2018 played at Royal Hua Hin Golf Course, Thailand, from Nov.1 to 4, won the Overall title beating a Philippine boy Madcalayo Jolo Timothy in a play-off. Pranavi Urs won the Category ‘A’ girls title with a four-day card of 6-over-294 (74+71+74+75). In the Girls team event, the combination of Pranavi Urs and Anika Varma, with a aggregate score of 602 (combined), won the third place, finishing behind Korea and Thailand, who emerged winner and runner-up respectively. India won the team boys title with Sunhit Bishnoi and Raghav Chugh faring well to clinch the title.